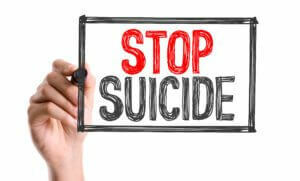 Suicide is the deliberate ending of one’s own life through one’s individual actions. Considered one of the nation’s greatest health epidemics by many in the medical field, suicide is one of the top leading causes of death in the United States, especially among young people. Suicide is the 10th leading cause of death among all Americans, but it is the third leading cause of death of Americans aged 10-14 and the second leading cause of death for Americans aged 15-34. In 2015 alone, 44,193 Americans died of suicide. Suicide, addiction, and depression have a very close and interconnected relationship. More than 90% of people who fall victim to suicide suffer from depression, have a substance abuse disorder, or both. Depression and substance abuse combine to form a vicious cycle that all too often leads to suicide. Many who experience such severe depression (as a result of Major Depression, Bipolar Disorder, Obsessive Compulsive Disorder, and other conditions) frequently turn to drugs, alcohol, gambling, and other risky behaviors to numb their pain and/or alleviate their negative feelings. 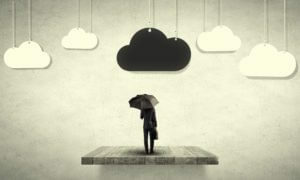 However, substance abuse and addiction actually increase the severity and duration of depressive episodes, despite any temporary relief they may provide, actually greatly increasing the likelihood of suicidal thoughts (suicidal ideation). This is exacerbated by the fact that addiction frequently damages or destroys familial, professional, personal, and financial relationships, further increasing the risk of suicide. Even worse, many substances severely impact judgment, leading to suicide attempts. Every case of suicide is dramatically different, as are its causes. In most cases, there is no single cause, but rather a large number of contributing factors. Of all the factors associated with suicide, only depression (66% of people who fall victim to suicide are dealing with depression at the time) is more closely correlated than substance abuse. Individuals with a substance abuse disorder are nearly six times as likely to attempt suicide at some point in their life. Among veterans, men with a substance abuse disorder are more than twice as likely to fall victim to suicide, and women with a substance abuse disorder are 6.5 times as likely to fall victim to suicide. Of all addictions, perhaps none is more likely to result in suicide than opioid addiction. In 2015, over 33,000 Americans died from opioids. Due to the nature of overdose, it is impossible to know how many of these deaths were accidental and how many were suicides. Men with an opioid use disorder were twice as likely to fall victim to suicide, and women with an opioid use disorder were eight times as likely to fall victim to suicide. Opioid use is associated with a 40%-60% increased likelihood of suicidal thought, and a 75% increased likelihood of suicide attempt. Some studies suggest that opioid and injection drug users are 13 times as likely to die by suicide. Every person who contemplates suicide is dramatically different, as are the warning signs they exhibit. Some exhibit many “classic” warning signs for a long period of time before falling victim to suicide, and some exhibit essentially no warning signs publicly. It is very rare that any one person will exhibit a full range of warning signs, and many who exhibit warning signs never attempt, much less fall victim to, suicide. Of all the possible ways to lose a loved one, many find suicide to be the most painful. Because of the assumption that suicide is a choice, many who are left behind feel that they could have done something to stop it. This leaves an overwhelming sense of guilt and self-blame in addition to loss. Because substance abuse so greatly increases the risk of suicide, one of the most critical steps in suicide prevention is overcoming any addictions and getting sober. This will alleviate the depression and related mental health symptoms of the individual who is experiencing suicidal thoughts, and improve their short-term judgment. It will also allow mental health professionals to more accurately assess and diagnose any underlying mental health concerns so that they can be properly treated. If you or a loved one are having thoughts of suicide, it is imperative that you seek help immediately. Contact a treatment professional now to find the right rehab to turn your life around.